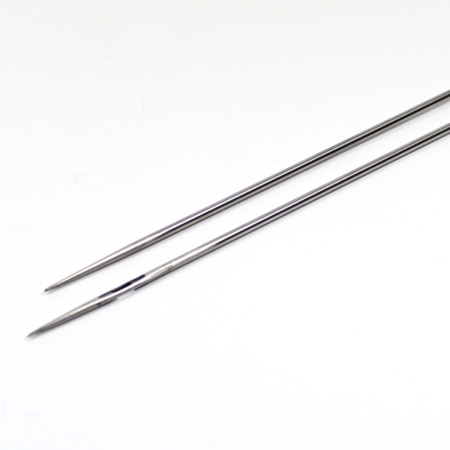 3 Square point shape slip stitching needles have been designed for use on leather. 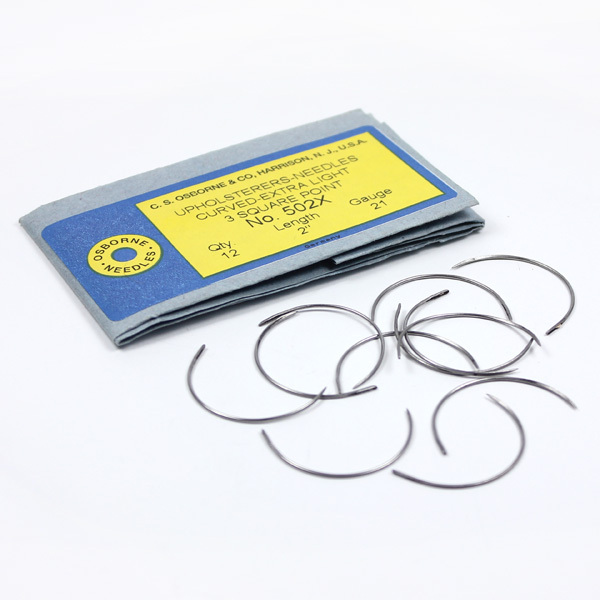 Supplied as single needles or in a pack of 12. 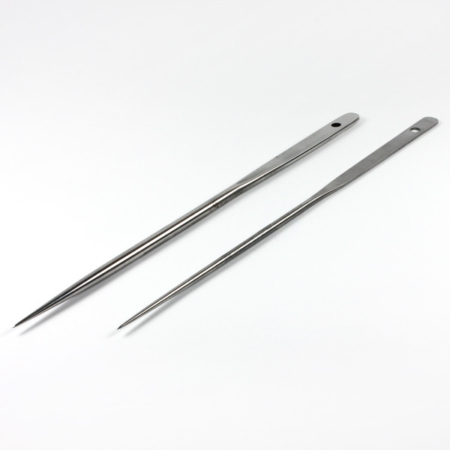 Osborne Curved Needles – 502 3 square point (measured from eye to point) used for slip stitching. There are many occasions when it is necessary to stitch an invisible seam on the outside of your upholstered work. 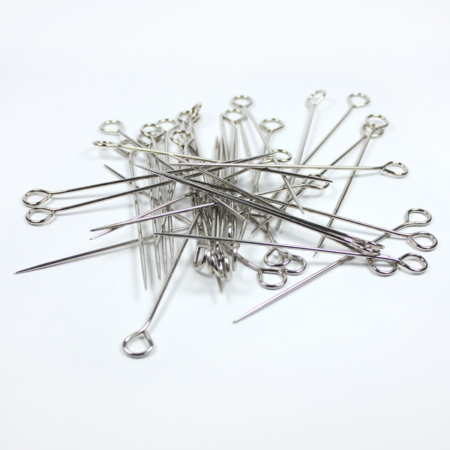 Some use gimp pins, staples or decorative nails. It is surprisingly easy and quick to slip stitch, achieving an almost invisible join. 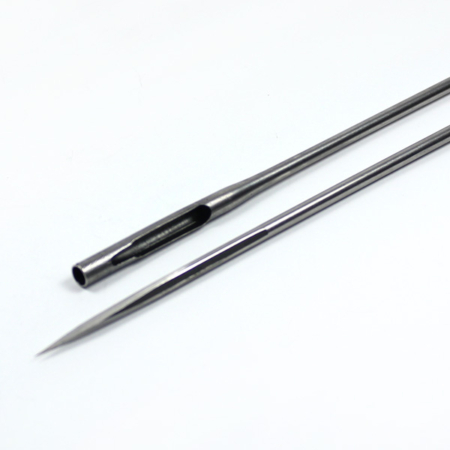 Osborne 3 square point needles can also be purchased in packs (K4) from AJT Upholstery Supplies. If there is any advice or information that we could offer you, please contact our sales team on 01384639990.